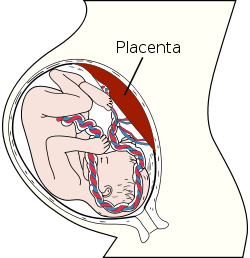 Extremely puzzled and curious I was , when I first heard about placenta Injections.What could it possibly be...my mind began to wander! All I could relate it was with pregnant women. Internet search helped me a bit but information on this topic is scant . Given that placenta is so rich in nutrients ,it is now used for therapeutic purposes in form of injections and drips. My friends in Japan get the placenta injections once a month and are very satisfied with the results. They tell me that it gives a glow to there skin and eliminates all their fatigue. I got it once from Le Coquelicot, Ginza (http://www.coquelicot.co.jp/e/index.html) and it costed me 2800 yen ( approx INR 1400 , $30 ). I really can't comment on it's benefits so soon but one thing I can assure is that I didn't face any side effects either.I am not sure if I would get it again because I am a bit paranoid .Some believe that it's safer than Asprin but other's say that it may contain viruses and bacteria that may not be tested for. They are extremely popular in Japan and are exported to Korea where they are sold for 5 times the price . I read another article - Is human placenta a wonder drug, or is it just another Japanese health fad? What do you think? It's mainly for skin glow?